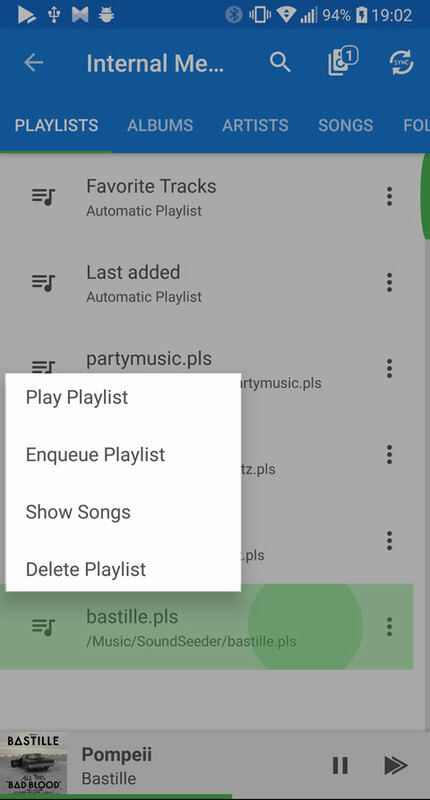 FAQ - soundseeder.com | Play music simultaneously on multiple devices. 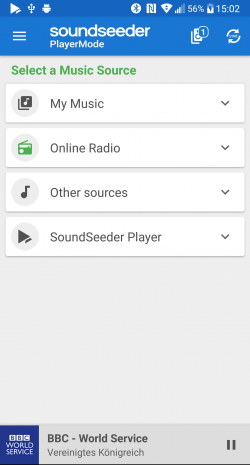 SoundSeeder turns your Android Smartphones into a wireless multi-speaker audio system. 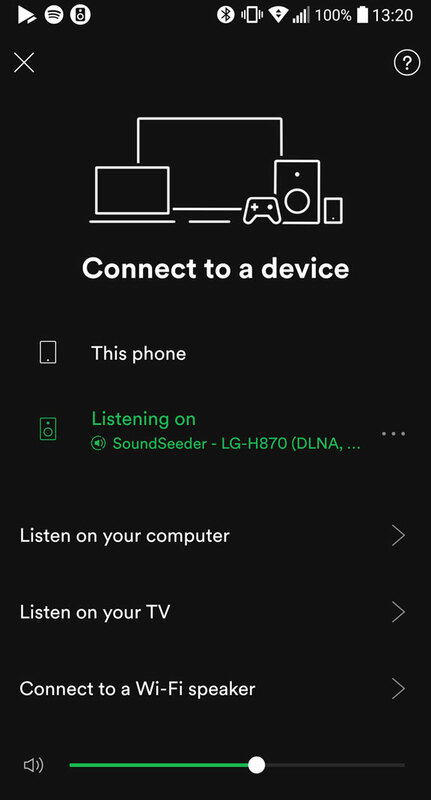 Select and play music with SoundSeeder, connect additional devices as wireless speakers to your phone and listen to your music on all devices at the same time and in sync. 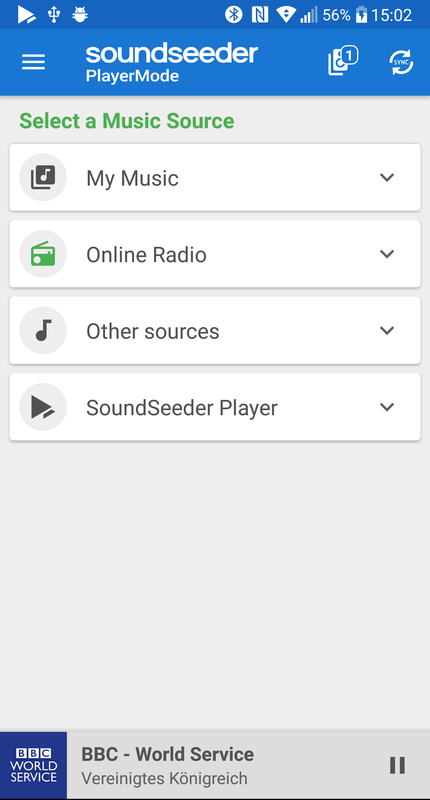 Use SoundSeeder to share your music with friends or even build an Android based wireless multi-room home audio system. 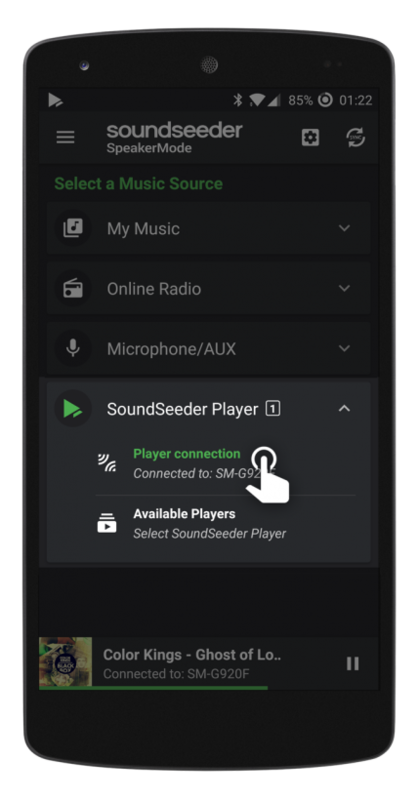 SoundSeeder requires a Wi-Fi connection to stream your Music to other devices. 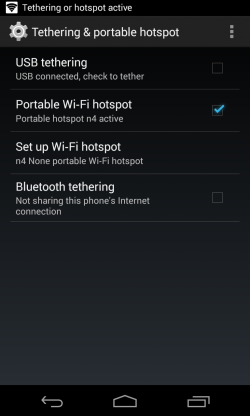 You can use SoundSeeder with any available Wi-Fi Hotspot. 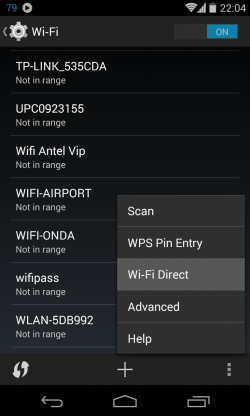 If no Wi-Fi is available, create a mobile Wi-Fi network via “Wi-Fi Direct” or use Androids built-in portable Hotspot to connect your devices. 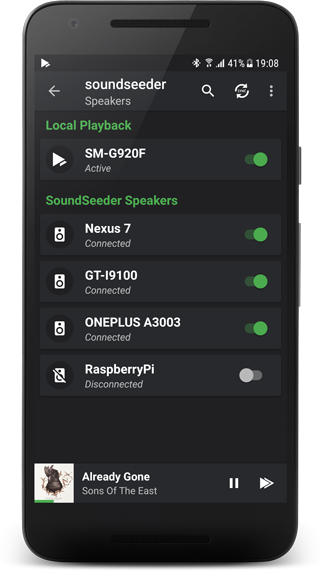 Connect your devices via Wi-Fi and start SoundSeeder. 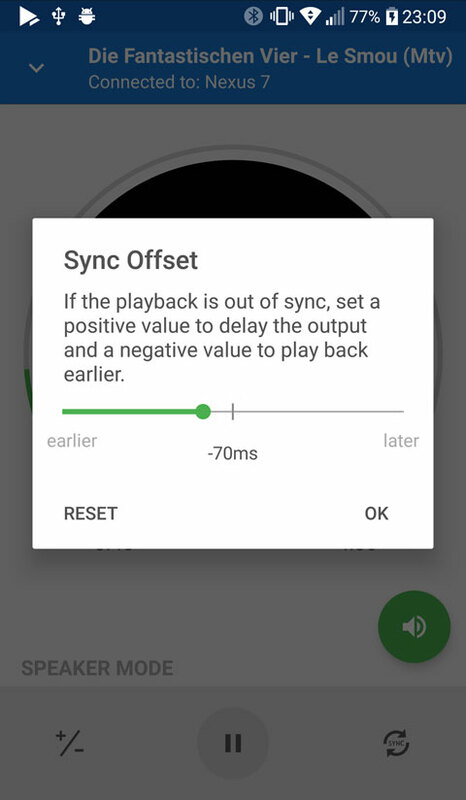 Choose one device to be the “Player” and set all the other devices to be “Speakers”. 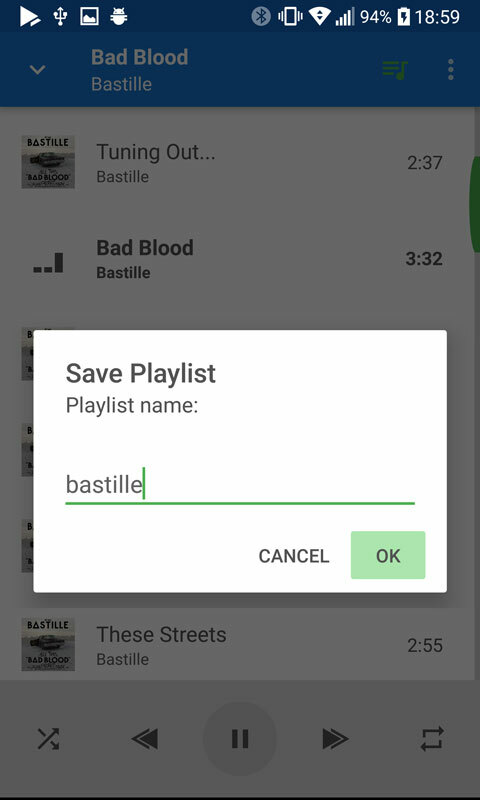 Select an audio file and start the playback on your player. 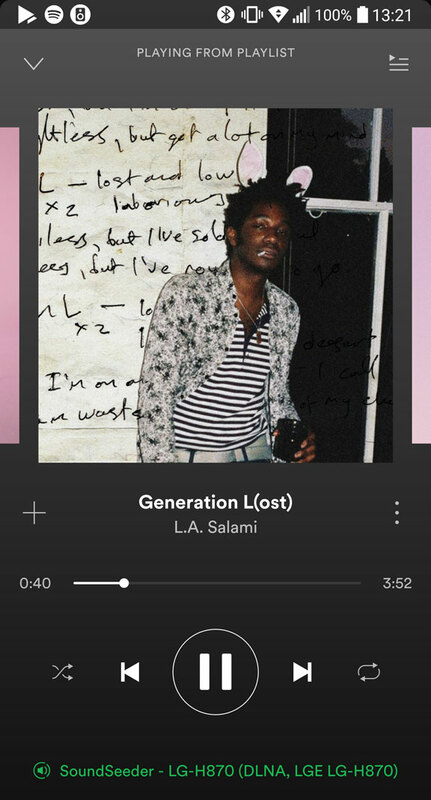 All devices will start playing your music. 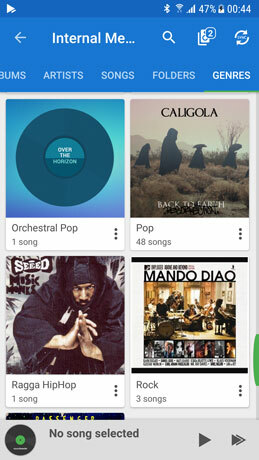 Select this source to play music, that is located in any of your media libraries. 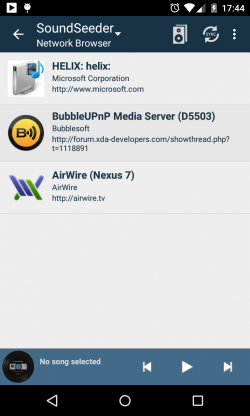 This network browser lists all UPnP/DLNA capable media libraries in your WiFi network. Select a media library and browse its content. 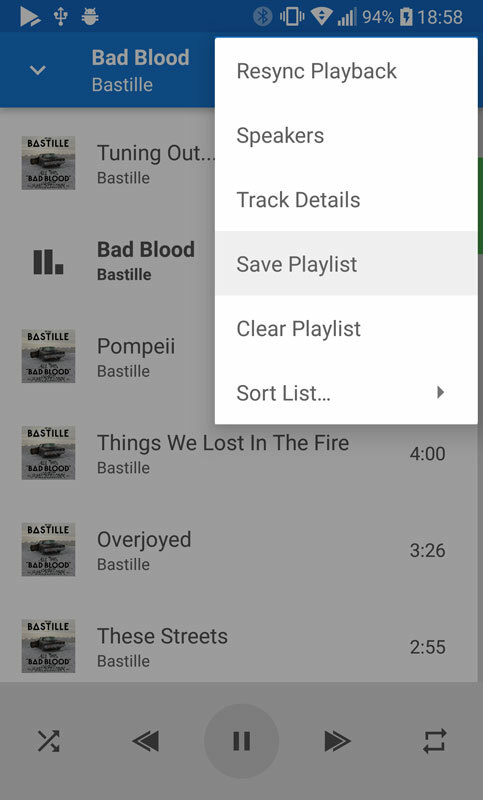 All compatible audio and video files can be added to your playback queue. 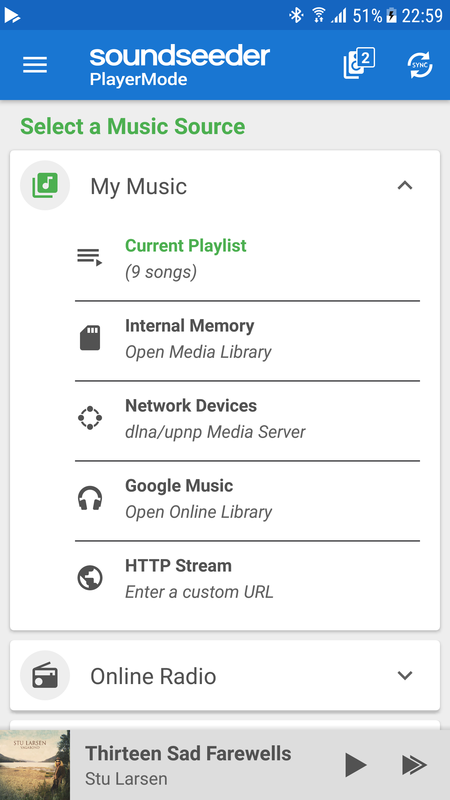 If you like to select music that is located on your speaker devices, install an UPnP media library application (like BubbleUPnP or AirWire) on your speaker devices. 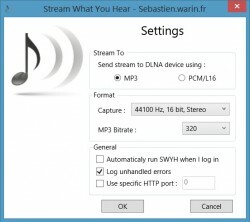 Activate the ‘Online Radio’ mode, to stream internet radio stations to your speakers. 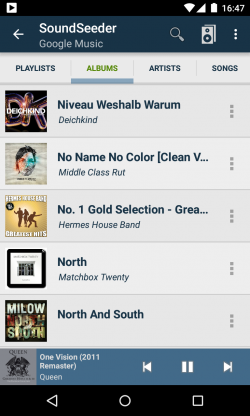 SoundSeeder contains more than 25.000 Radio Stations, that are provided by http://www.dirble.com. 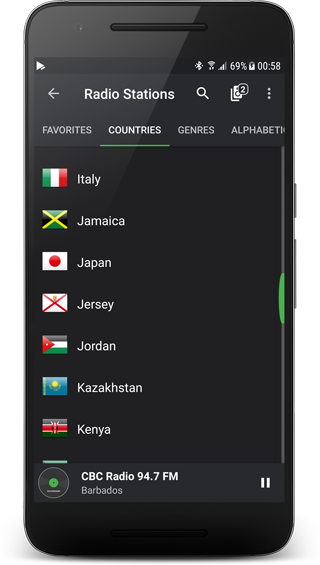 The stations are listed by favorites, countries and genres. 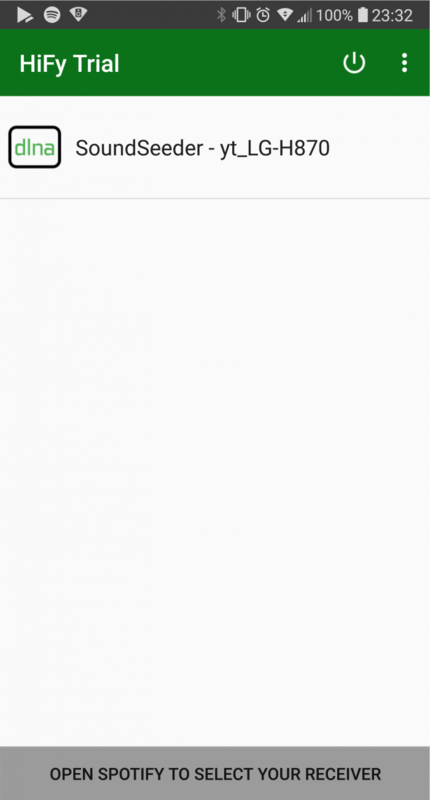 Use the search field in the action bar to filter the items in the list. 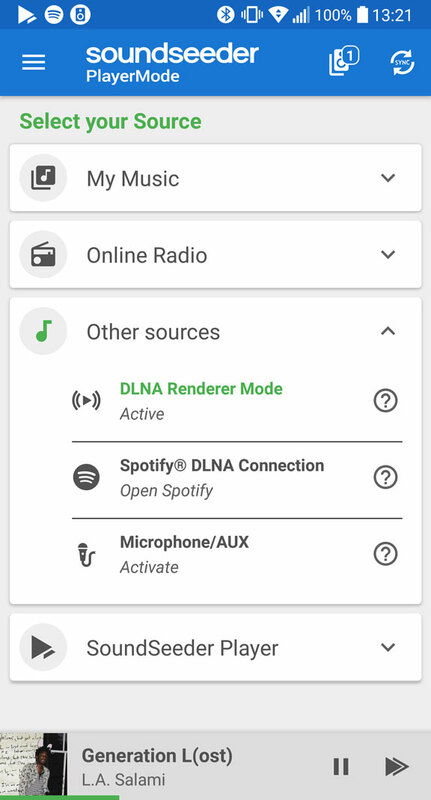 The DLNA Renderer Mode is used to control SoundSeeder remotely via DLNA Controller apps. 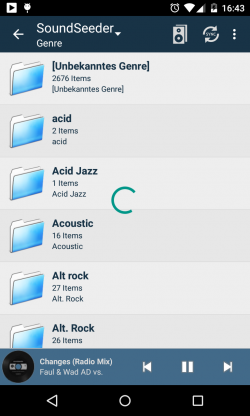 DLNA is a standard technique for sharing digital media among multimedia devices. Is is supported by many apps, audio devices and media servers. 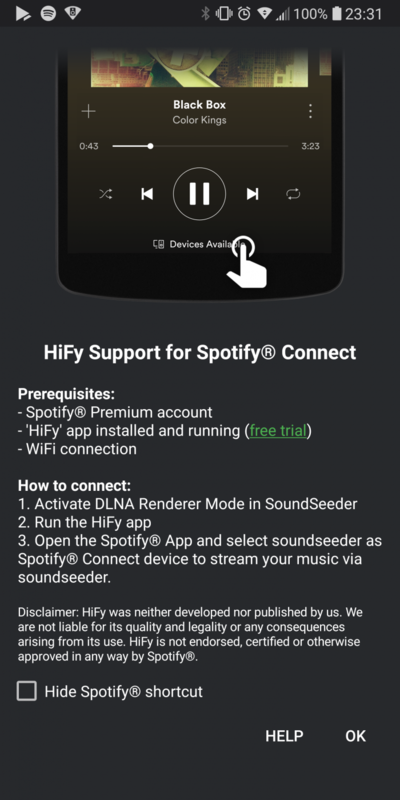 While the DLNA Renderer Mode is active, SoundSeeder can be controlled by any DLNA Controller app in your WiFi network. 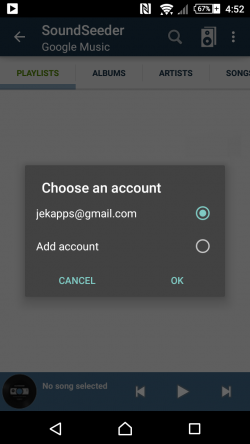 Feature-rich and reliable DLNA application for Android. You can also check this Wikipedia article for further DLNA capable applications. 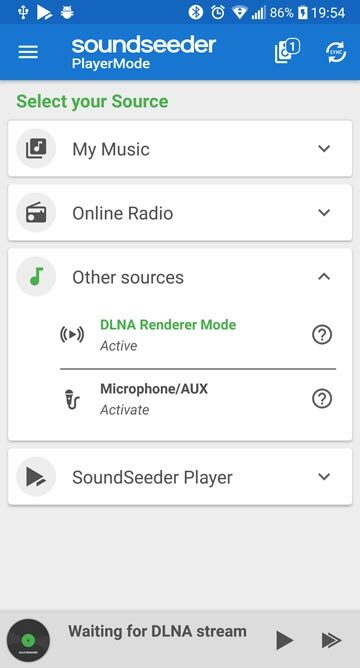 To access DLNA Media Servers with SoundSeeder, check the DLNA Browser feature. Disclaimer: These applications were neither developed nor published by us. We are not liable for the quality and legality of these applications or any consequences arising from their use. 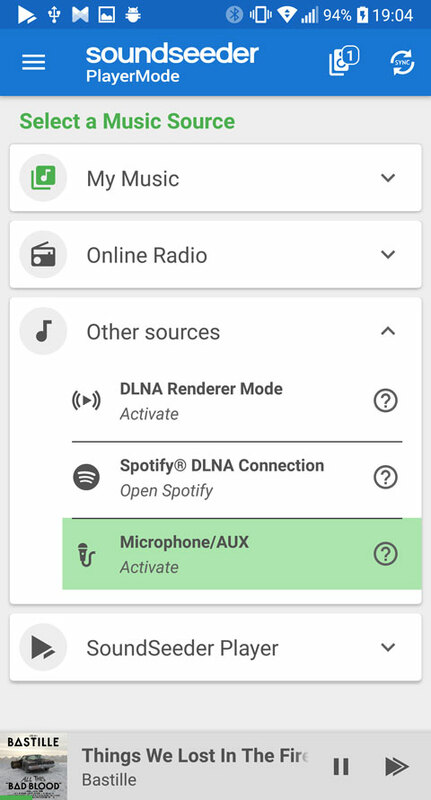 Select this mode to stream the microphone input or external usb audio sources via soundseeder. 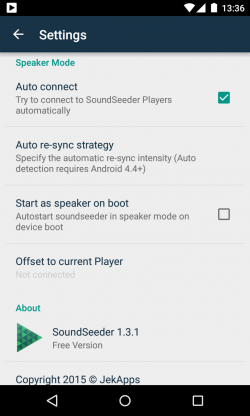 By default soundseeder takes the input of the internal microphone and streams it to your connected speakers. 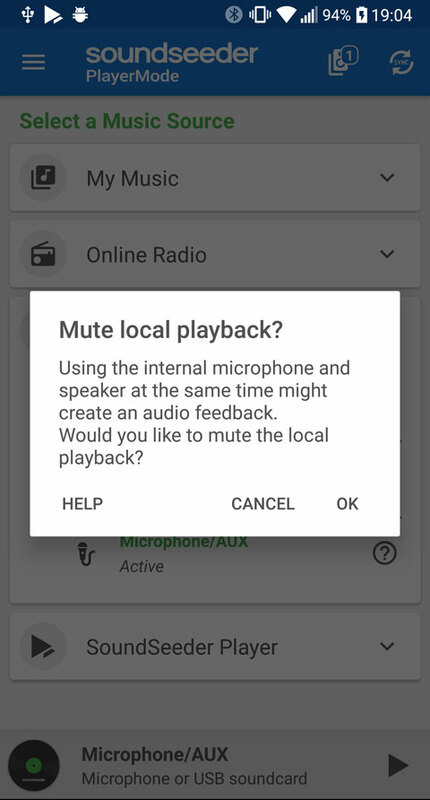 Note: To avoid audio feedbacks, turn off the speaker of your SoundSeeder Player device, while using the microphone. 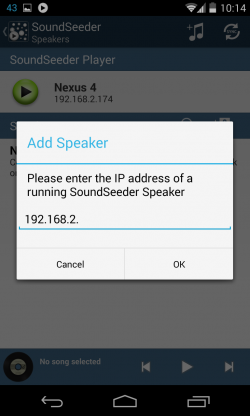 SoundSeeder also supports the Android host mode for audio on compatible Android devices*. 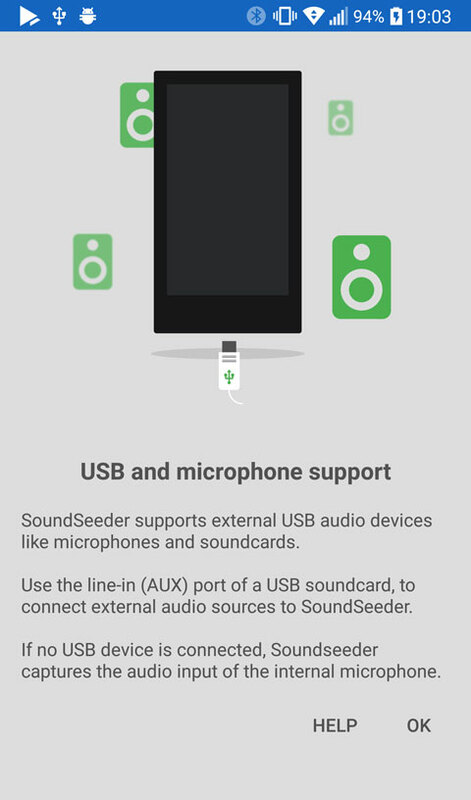 If your device supports USB-Audio accessory, you can use soundseeder to stream external audio sources via the line-in (AUX) port of a connected USB soundcard. *USB host mode needs to be supported by your hardware. 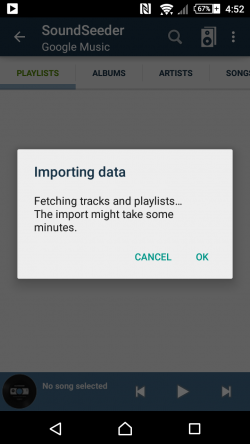 USB-Audio is officially supported since Android 5.0 and proprietary supported by some vendors since Android 4.1. We have successfully tested soundseeder with soundcards based on the “C-Media” audio chipset. 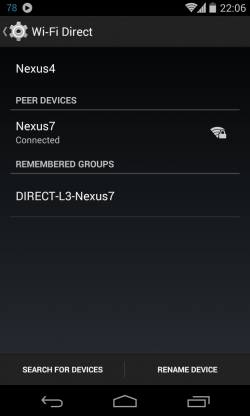 Especially users of Nexus devices should see the article Record and play back audio using USB host mode for more information. How many Speakers can I connect? 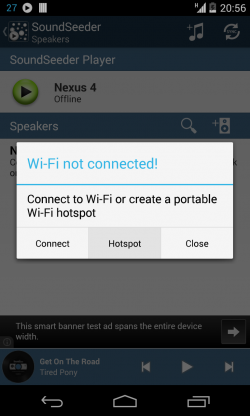 With a fast Wi-Fi connection (IEEE 802.11g+) you should be able to connect 16 Speakers (and more) without any problems. Each Speaker requires a constant Wi-Fi traffic of about 1.5Mbit/s (0.75Mbit/s in mono mode). 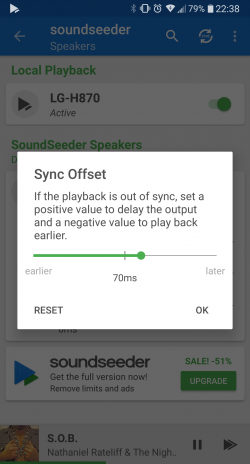 SoundSeeder supports the Android host mode for audio on compatible Android devices. 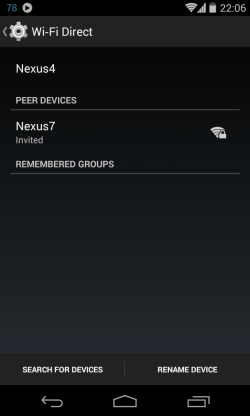 Please note: Your Android device has to support the “USB host mode” to use this feature. Please check your device specs. 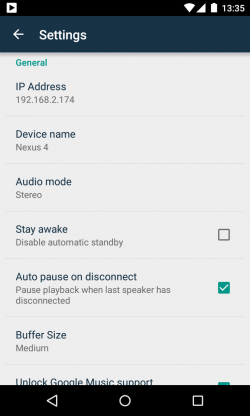 USB-Audio is officially supported since Android 5.0 and proprietary supported by some vendors since Android 4.1. We have successfully tested soundseeder with USB soundcards based on the “C-Media” audio chipset. If you need further support, please visit our Support Forum.